The Rowerland Bikejoring Arm is a flexible and easy to attach bikejor attachment. It is designed to attach to the frame of the bike using Velcro straps to secure it, and has the extension over the front wheel of the bike to keep your lines up and safe from any possibilities of getting tangled in the wheel. 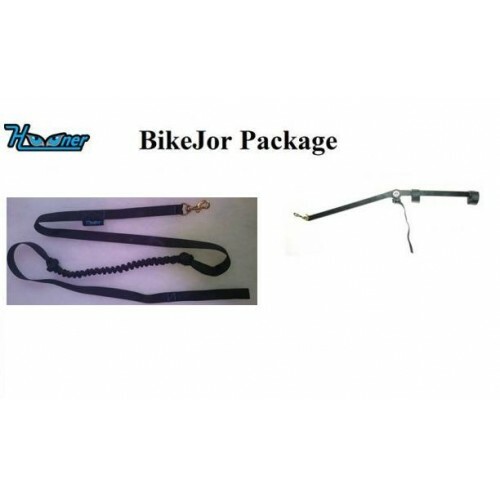 Your bikejor line connects in the usual way around the head stock of your bike and runs along the arm and through the corded loop at the end of the bike, Never attach directly to any bikejor arm. 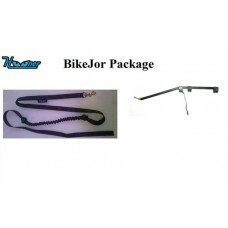 This bikejor arm is available in Black or White please note we will send whichever colour is in stock at the time. Should you require a specific colour please leave a message in the comments box on checkout or drop us an email.